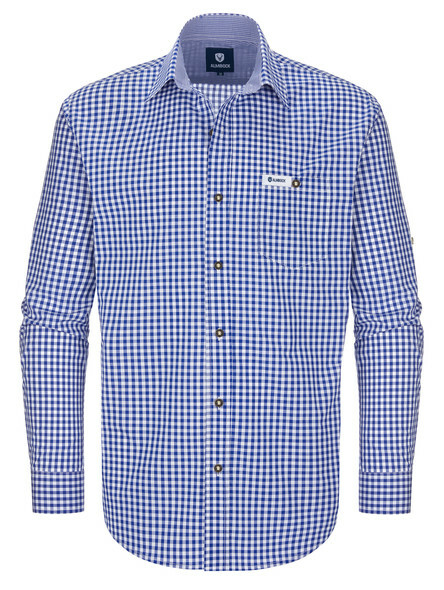 Our slim-fitting, authentic Bavarian shirts convince with luscious colours and a rustic button facing. The men?s Lederhosen shirt has buttons on the sleeves to wear it short-sleeeved during warm fair days. Due to the high-quality cotton-fibers, the comfortable Bavarian shirt can be worn crease-free. 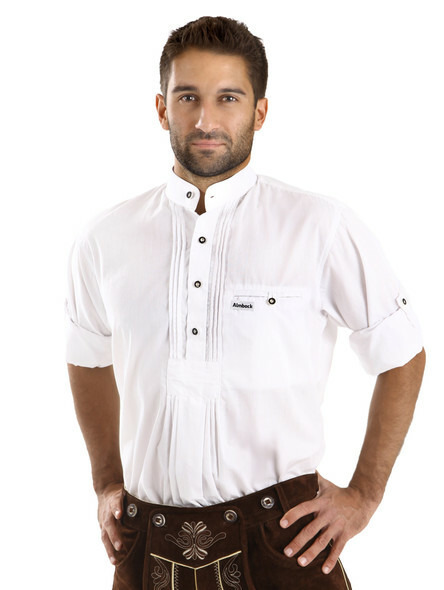 Do you already have your own pair of traditional lederhosen in your closet? In this case, your lederhosen will offer you a good indication for the choice of a suitable, stylish Bavarian shirt - it will match perfectly! Make sure that the coloured embroidery fit to your traditional Bavarian Shirt and be in harmony with your chosen shirt colour - it´s all just a matter of your own stylistic confidence! When buying a traditional shirt, always keep in your mind how you want to wear your stylish combination. As already mentioned above, the most important thing is to like the chosen colour combination. Moreover, if you want to complete your traditional costume with a coloured Bavarian vest - it´s recommended to wear a white Bavarian shirt. By choosing your Bavarian shirt your personal style will guide you to the right shirt anyway. However, it does no harm to ask yourself the question of your individual style. 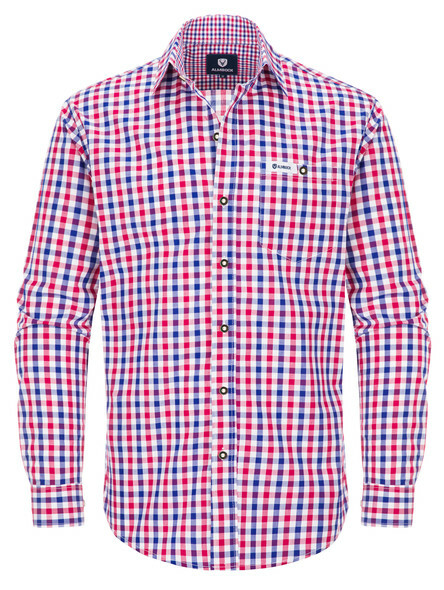 You prefer the modern and sporty style? 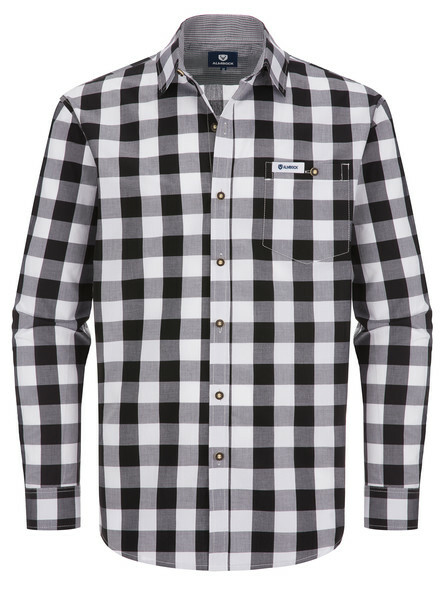 Then the checkered traditional shirts are a good choice. The more conspicuous the colours, the more unconventional it looks. 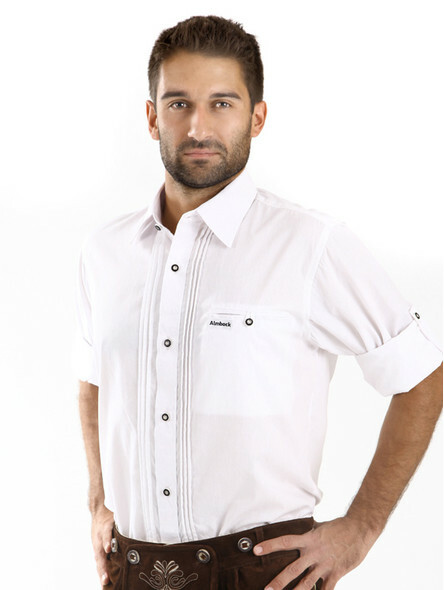 If you have a more traditional style, we recommend a white Bavarian shirt with rustic button facing. You can choose between the classic white shirt with collar and a white shirt with an elegant kent collar - it´s just a question of your own style. Now it´s your turn! Find your own perfect matching Bavarian shirt in Green-, Blue-, Red-, Pink- or Black-checkered. Of course you can also choose a classy white one. In order to find your perfect shirt-size, you can use our size charts as well as our size calculator. If there are any questions feel free to ask us! 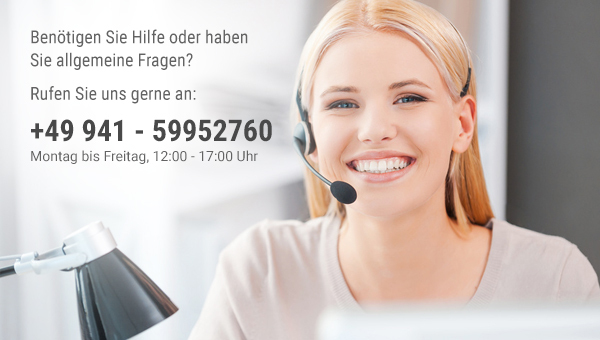 You can contact us by using our contact form or giving us a call. 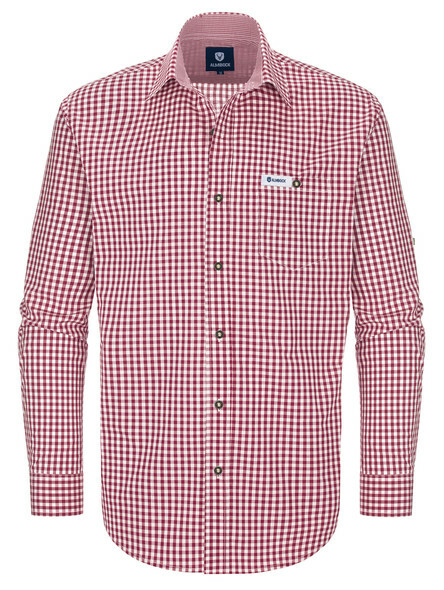 As well we are open for any suggestions!